Real Madrid star, Cristiano Ronaldo has sold his Ballon d’Or trophy in order to raise £600,000 for Make-A-Wish Foundation. Make-A-Wish Foundation is a charity that grants wishes for children with life-threatening illnesses and those who are terminally ill. According to Spanish newspaper Marca, Ronaldo donated the 2013 replica at a charity auction in London at the weekend. It was bought by Israel’s richest person, billionaire Idan Ofer, who spent a massive £530,000 to acquire the replica. Ronaldo is popularly known for his kind-heartedness and was named world’s most charitable athlete a few years ago. The expectant father is a recipient of four Ballon d’Or trophy. 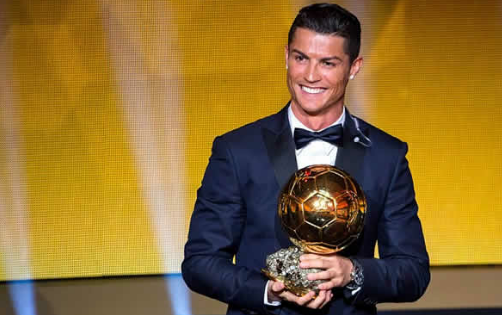 Ballon d’Or is an annual association football award presented to the world’s best men’s player. It is one of the most prestigious awards in football.